One-of-a-kind custom 2wd Chevy pickup. Lowered front and rear, monochromatic white paint treatment, rear roll pan, 17" Impala SS wheels with new tires, only 28K actual miles, absolutely no rust, never outside in bad weather, stored indoors, no winters. Completely stock original drivetrain with 350 V8, automatic transmission, factory bucket seats, tinted windows, 454SS fog lamps and air deflector. Runs and drives awesome. Everything works as it should. 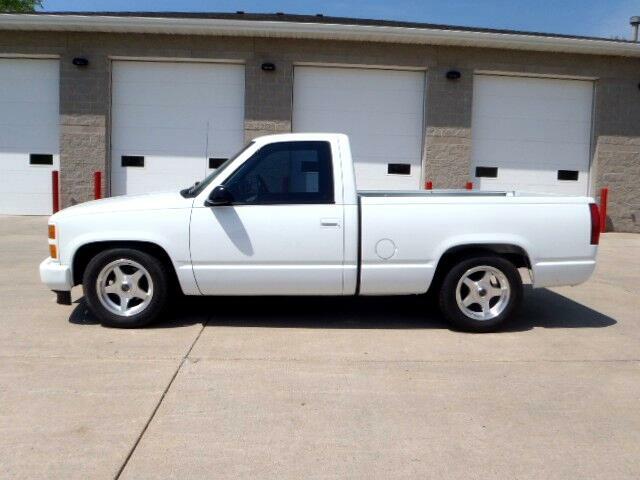 Message: Thought you might be interested in this 1994 Chevrolet C/K 1500.